While we offer a range of brand new watercraft for a variety of purposes, we also sell a selection of used boats that have already earned their stripes on the high seas and are simply looking for new owners. These boats have been meticulously looked after, are in excellent condition and many have spent very little time on the water. Whether you are looking to buy your first boat or upgrade from your existing one, contact us or pop around to our premises and come check out what we have. 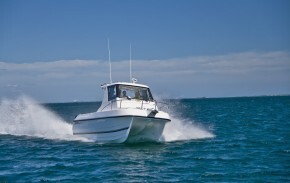 You may love your boat, but sometimes you need to move on to bigger and better, or smaller and smarter. We will help find your existing boat a new owner and then, of course, help you replace it with something more suitable to your current needs. Browse our range of used boats for sale, all in excellent condition and ready to hit the open seas.